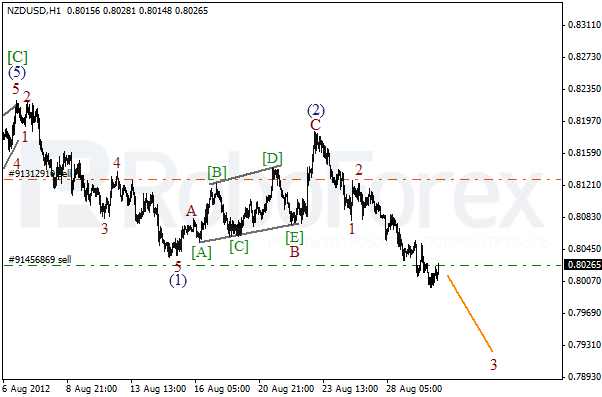 It looks like New Zealand Dollar is moving downwards inside wave (3). 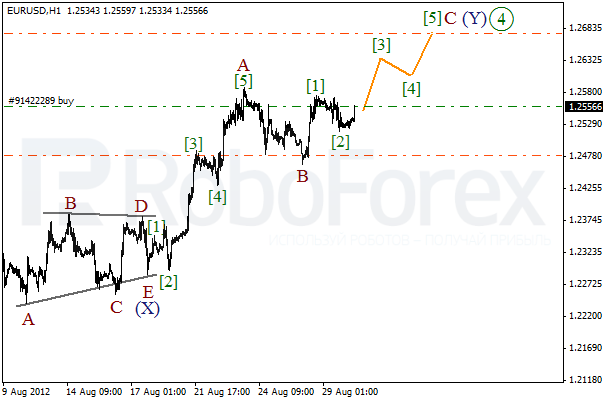 Earlier the price completed wave 2 in the form of zigzag pattern. In the future we can expect the pair to continue falling down. 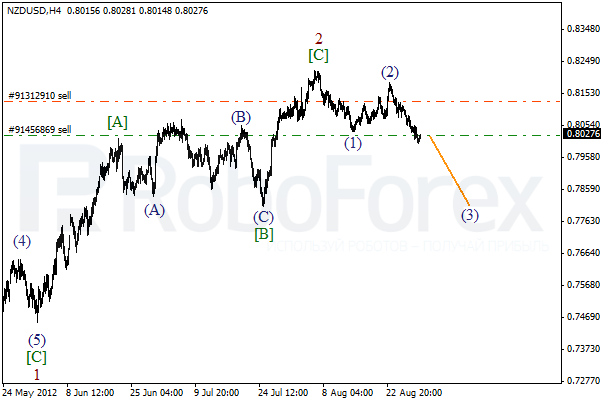 The short‑term target is at the level of 0.7800. More detailed wave structure is shown on the H1 chart. The price is moving downwards and forming a descending wave (3) with the third wave inside it. Most likely, the price will continue falling down during the day. At the H4 chart the price continues the corrective movement in an upward direction. We may assume that wave  is taking the form of double zigzag pattern. Most likely, in the nearest future Euro will grow up and form wave C of (Y). However, later we can expect the price to make a reverse. As we can see at the H1 chart, Euro is in the very beginning of wave  of C. We can’t exclude a possibility that the price may break the local maximum during the day. 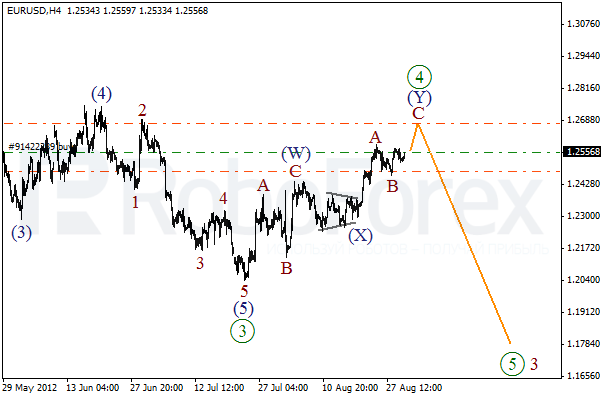 The short-term target is at the level of 1.2650.